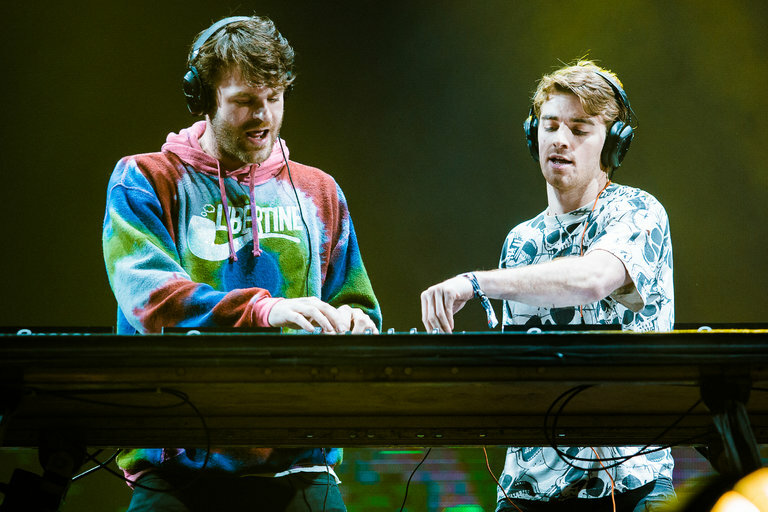 Alex Pall, left, and Andrew Taggart of the Chainsmokers, whose “Memories…Do Not Open” debuted at No. 1 on the Billboard album charts. After three weeks, someone eventually had to bump Drake from No. 1 on the album chart, and that honor belongs to the D.J. duo the Chainsmokers — although they still couldn’t top Drake’s streaming numbers. “Memories…Do Not Open” (Columbia), the Chainsmokers’ first full album after a string of huge pop singles and EPs, opened in the top slot in Billboard’s new album chart. It had the equivalent of 221,000 sales in the United States, including 166,000 copies sold of the full album and nearly 60 million streams of its songs, according to Nielsen. Also this week, Ed Sheeran’s “÷” (Atlantic) fell to No. 3 — that “Egg Sheeran” Easter meme, while adorable, wasn’t quite enough to lift sales — and “PTX Vol. IV: Classics” (RCA), the latest by the perma-perky a cappella group Pentatonix, opens at No. 4 with the equivalent of 54,000 sales. Two other new releases reached the Top 10 this week: the Brooklyn rapper Joey Badass bowed at No. 5 with “All-Amerikkkan Badass” (Cinematic), and the sharp-tongued singer-songwriter Father John Misty reached No. 10 with “Pure Comedy” (Sub Pop).